Posted the 17th day of March in 2014 by Riley. 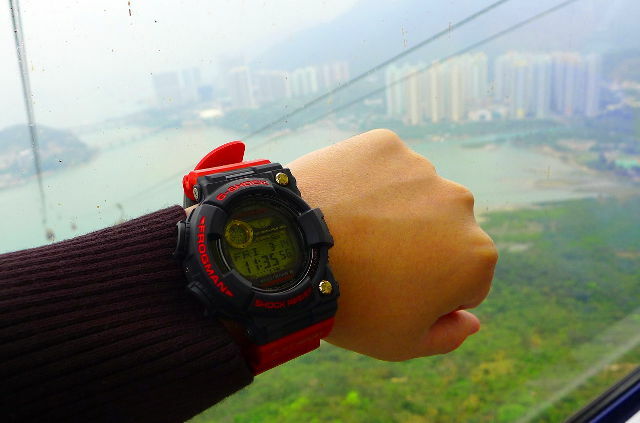 Cedric took a trip to Hong Kong and took some photos of G-Shocks along the way. This is a great city for G-Shock shopping. Check out the G-Shock Wiki page for some good advice on where to go while there (and in other cities too). The shops there have a huge selection of rare limited editions from the last ten years, but unfortunately most of them have quite high prices. Many shops in Hong Kong are open to haggling though, and I have sometimes been able to negotiate a better price while shopping there. Check out some photos of G-Shocks and scenery throughout the trip.